Mahindra Two Wheelers and ‘Mojo Tribe’ have opened registrations for the exotic ‘Desert Trail’, targeted at owners and biking enthusiasts. Spread over 9 days, the motorcycle ride will begin from Jaipur on December 17 and end in Ahmedabad on December 25. ‘Mojo Tribe’ will cover a distance of around 2300kms, traversing some of the most exotic locations and experiencing some of the most spectacular cultural activities. 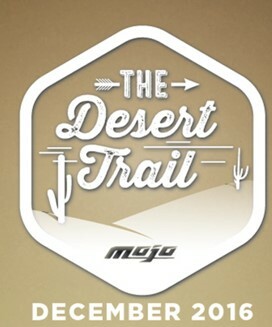 Owners of the MOJO can register for the ‘Desert Trail’ by visiting the Mahindra MOJO website. Mahindra Two Wheelers also provides biking enthusiasts who want to experience the touring capabilities of the MOJO with the chance to participate in this trail. Participants from South and West & East will have an option of ‘TEST–EXPERIENCE–A–MOJO’. Riding through the sand dunes, the ‘Mojo Tribe’ will conquer the deserts across Jaipur, Sam Sand Dunes & Rann of Kutch. Challenging their riding skills and testing the will of the participants, the ‘Desert Trail’ will distinguish the men from boys. Touring through sand dunes in colder climes, the ‘Mojo Tribe’ will discover the sandy terrains that will challenge their riding skills in tough conditions. On their first ‘Desert Trail’, the participants will journey around 2300 kilometers traversing diverse terrain ranging from the Golden city of Barmer to the serenity of Mandvi Beach. Over the course of 9 days, riders will make their way through varied landscapes and ride to scenic locations such as the Jaisalmer Fort, Longhewala near the Pakistan border and Uttarlai where they will witness the first-ever underground military air base in the country. The riders will also visit Kala Dongar, Haji Pir, Mata No Madh amongst many other exotic locations.